Update, April 2016: Now is a great time to start scheduling visits over summer break! Here’s our guide to making the most of your college visit. Deciding on the right college is a big decision for your student, and it is important to visit the campus not only to collect more information, but to interact with the environment and leadership style of the institution. 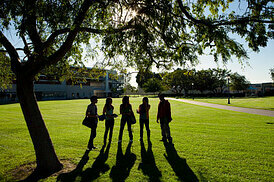 To maximize the benefits and to minimize the stress of visiting colleges with your kid, begin preparation now. Most families choose to tour universities and colleges in the summer, when the kids do not have school and the university campus is less crowded. This is a great option, but if your circumstances are better suited for touring during the spring or fall, most institutions will accommodate this. No matter what time of year you plan the visit, begin preparation as far in advance as possible. The very first thing you want to do is check with your child and make sure you have an accurate list of colleges to research and visit. While your child is probably familiar with each school’s website, it is important that you are too; you don’t want to waste time on the tour asking questions that can easily be found online. As you complete your research, keep a log of questions that come to mind. There will be a lot going on that day and you want to get your questions answered. Some institutions offer virtual tours and interactive maps on their websites, like the one on the University of Alaska homepage. This is a great tool for orienting yourself with the campus ahead of time. Most university websites make it easy for parents to schedule a visit to the campus. 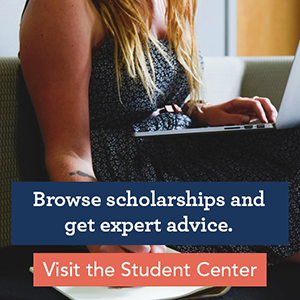 There is often a direct link for visiting or a link for prospective students on the homepage that will take you to the information you need. If this is not the case, the Office of Admissions is the place to contact for proper information. 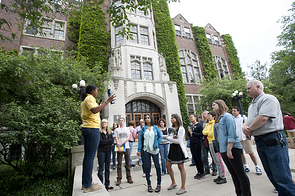 Institutions offer different types of tours and information sessions. These can include general university overviews, tours geared toward specific colleges or majors, financial aid sessions, residence hall tours and diversity tours. Group tours are the most common and can be the most beneficial, as you can learn from the questions and knowledge of the other parents and their children. Private tours can sometimes be arranged and usually require scheduling at least two weeks in advance. If available, take advantage of additional opportunities, such as having your child spend a night the residence hall, sitting in on a university class or participating in a student-led tour. Current students are a great resource for your child, as they offer a peer perspective. Schedule all tours and events in advance by using online registration forms or call the number provided. Be careful of any blackout dates that may be published online. If you are traveling out of state, give yourself adequate travel time for flying or driving. Print directions and maps ahead of time, including one of campus. While you should receive a map during your tour, your family may want to explore campus prior to any formal tour. Keep in mind that the dates of the university tours, flights, and hotels will all need to line up. Some universities have deals with local lodging, and if you mention your upcoming campus tour, you can often score a discount. Be aware of any time zone changes and adjust your watch accordingly. Like many long days walking around, comfortable footwear and a water bottle are a must. There are many different questions that can be asked about student life and those will change depending on the structure of the institution. Basics include health and counseling services, meal plans and nutrition, student transportation and parking on campus, access to computer labs and printing costs, campus safety and security, and resources for students with disabilities. While you’re there, check out the library systems, the fitness center and the student union as well. The surrounding neighborhoods and the city itself will also be part of student’s college experience. Find local eateries in walking distance of campus and other basics, such as drug stores, bookstores and the local post office. Look for local sources of cultural events and entertainment. Does the city have a well-established public transportation system? Find out. Take a ride on some of the buses or light rail systems. Talk directly to university staff ahead of time about any serious concerns and use the information online as a starting point. For example, crime statistics are often easily accessible online and linked to the university’s police website. Ask Housing and Residential Life about things like food allergies or allowing outside mattresses for students with dust allergies. Ask if each dorm room will have a telephone line and if this school is out of state, ask about long distance calls. Find other parents who have recently gone through this process; they will be glad to offer advice. When local resources are not an option, utilize online parent forums such as College Confidential. Any questions that you feel are important, go ahead and ask. But do remember that if your student does get accepted into the school, there will be time to ask more questions of lesser significance. Remember to slow down and enjoy the process with your child.